C&D Bayou Morning Flake in a MM Country Gentleman bent. Molto Dolce mixed with Carter Hall 50/50 in a 320KS. C&D Chenet's Cake in a Bağlan meer, with water, watching the Cubs and Pirates. Viprati in James Barber B-line smooth bulldog. Three Nuns in a Nording Queen with a rum & pepsi. PA in a Luciano Pot. I lied - it's 50/50 PA/CH (wrong jar)! Enjoying some GLP Jacknife Plug in a cob on a wild autumn evening. Bit of a front coming over from Antarctica way. MM/R.O. 's Missouri Pride in a Bağlan meer, with coffee and the morning paper. 2012 Rotary Navy Cut in a 1969 Dunhill LB Billiard. Finally... My first bowl of 1792 Flake in a Country Gentleman MM cob. Strong black coffee. I'm in heaven! Rattray's Brown Clunee in a Bağlan meer, with coffee. Peterson Hyde Park in the beater pipe. 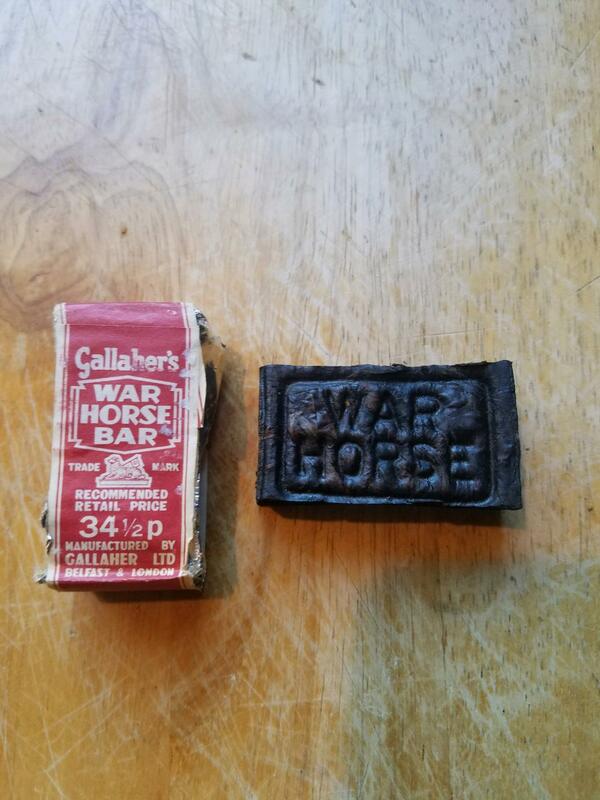 Original War Horse Bar from the 1960's in a BBB Thorneycroft prince. 2012 Hamborger Veermaster in a 1966 Dunhill LB Billiard. Rattray Hal o´the Wynd in a Castello Trade Mark. GH Top Black Cherry in the Muhsin volcano. 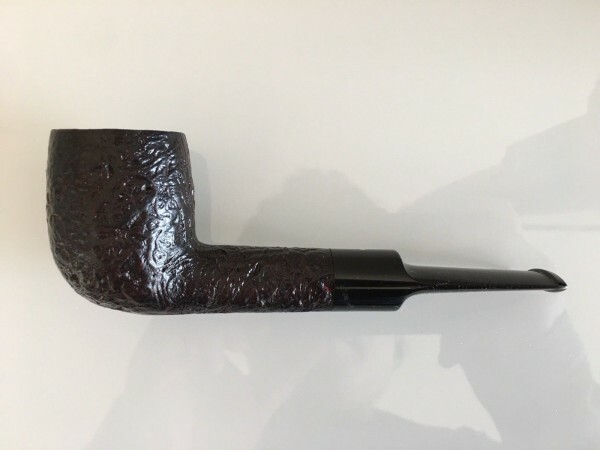 LJ Peretti Somerset Flake in a BriarWorks Poker. Captain Earle’s Ten Russians in a Savinelli Roma 627 Bent Egg. H&H Fusiliers’ Ration in a Nording bent bulldog. This Dunbar is quite the excellent tobacco! MacBaren Mixture Scottish Blend in the Muhsin volcano. C&D Billy Budd Blonde in a figural meer by Medet, with coffee, watching the Cubs and Pirates. 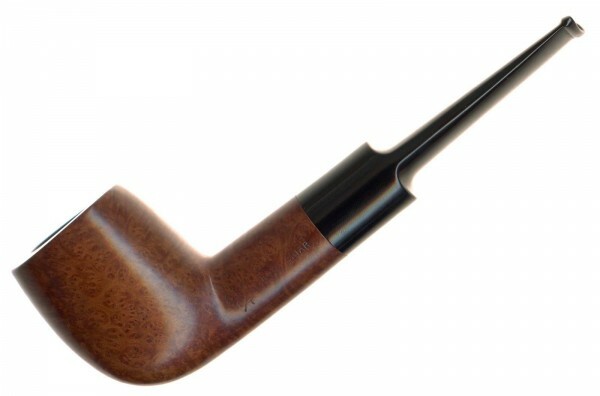 PS LBF in a Stanwell 185. Enjoying some Sir Walter Raleigh Aromatic in a MM cob. D&R Rimoche’ SJ in a MM Patriot Bent. Just lit a second bowl of Dunbar. I'm really enjoying this. Glad I bought two 8oz bags. It's definitely a top notch tobacco. GLP's Navigator in a figural meer by Medet, with water. Blatter & Blatter burley blend in a Dr. Thomas Special with a mug of tea and a shot of Bulleit Bourbon. GH&Co Kendall Dark in a '69 Dunhill 90 Poker. Smoking another bowl of GLP Jacknife Plug in Sav while listening to episode 163 of the radio show. Rattray´s Hal O´the Wynd in a Castello "Castello" billiard.